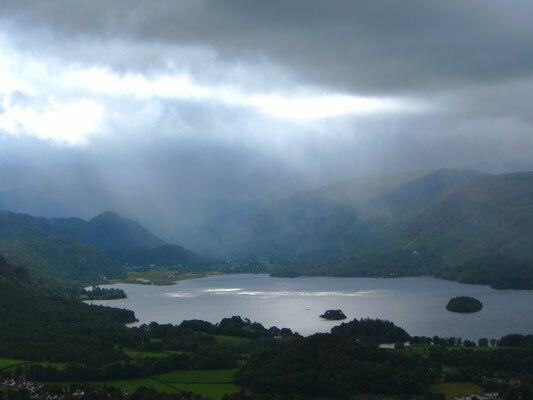 Skiddaw is the beautiful mountain that forms the backdrop of the popular Lake District town of Keswick. It is the 6th highest mountain in England standing at 931 metres above sea level. My Skiddaw guided walk not only brings in the summit of this iconic mountain, it provides the opportunity to bag six 'Wainwrights' in one day. You will be in a small group of no more than six people plus your guide. 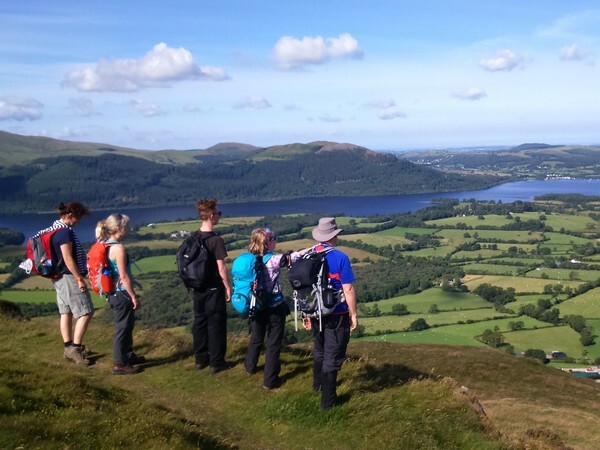 By taking the bus to our starting point on the west side of the mountain, near Bassenthwaite Lake, we are able to make our ascent via a scenic path, avoiding the crowds of the tourist route. 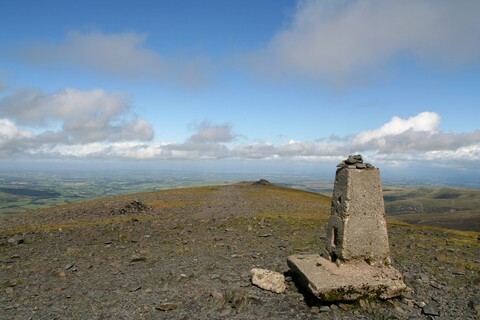 We walk up the hillside, ascending via a high ridge over the three Wainwrights of Ullock Pike, Longside and Carl Side. 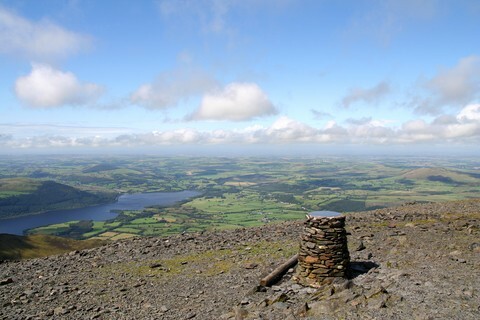 On a clear day there are spectacular views over the lake and over the Southerndale Valley to the summit of Skiddaw. As we get higher, our route swings round to the left and we ascend to the summit itself. Our descent route on the main path brings in the summit of Skiddaw Little Man, and the summit of Latrigg for fine views over Keswick and Derwent Water. 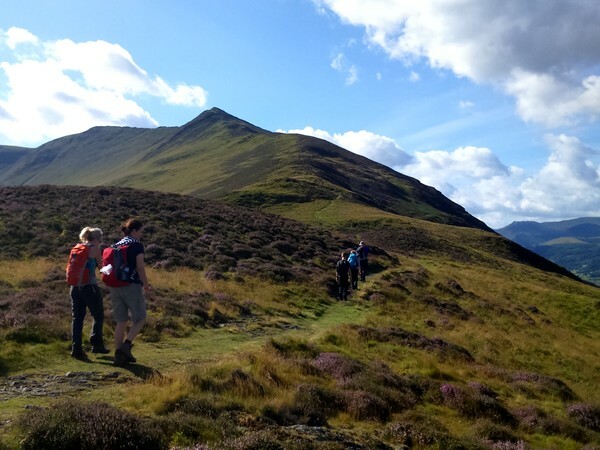 This walk is about 8.5 miles and involves approx 1,130 metres of ascent, so a reasonably good level of fitness is required, and confidence to walk over rough and steep mountain terrain. The cost to join this guided walk up Skiddaw is £39 per person, including bus fare from Keswick to the start of the walk. Please book and pay below. You are booking with Cath Lee who will guide the walk on the day. We meet at 8:50am at Keswick bus station, ready to catch the 9:02am X4 bus. Post code CA12 5EA. The walk ends in Keswick. The Google map opposite that you can zoom in and out of shows the location of the bus station.